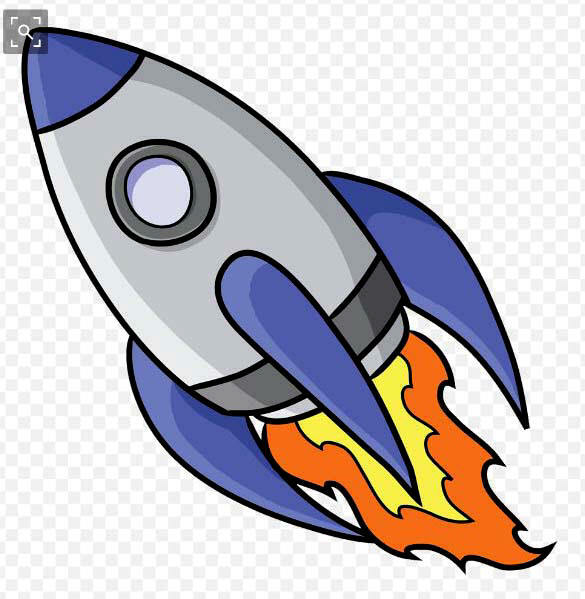 Right after World War II, as the Cold War was heating up, interest in rockets by the American public ramped up immeasurably. We had seen the German V1 and V2's, we had watched as Chuck Yeager flew the X-15 at unthinkable speeds, and we would soon be immersed in worry when the Russians put a satellite into orbit before we were capable. 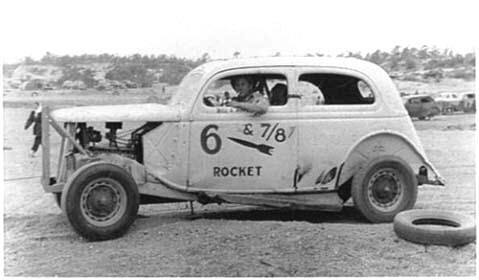 This interst in rockets inspired Oldsmobile to use the term Rocket 88 with its cars, and many local stock car drivers would get in in that act, numbering many cars as #88 and often using pictures of rockets on the sides. 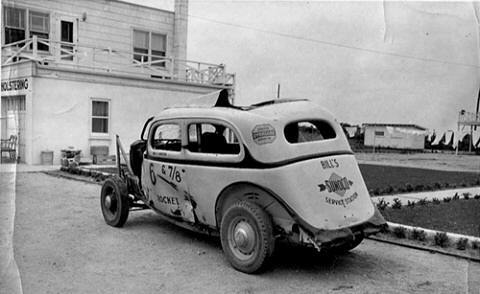 Some went so far as to have tin "rockets" mounted on the racer's roof. 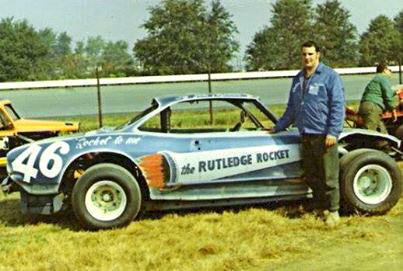 This page looks at some of those rocket cars [that would be considered corny in today's jaded racing world]. the actual rocket on the roof of this bad boy. 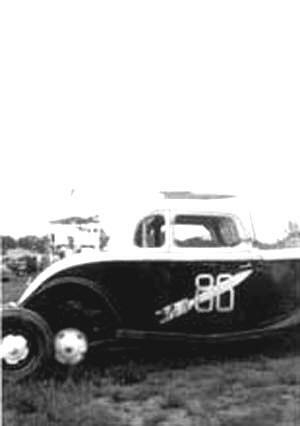 Very likely, LaQuerre had muscular Barre granite cutter Norm Chaloux drive the Rocket 88. 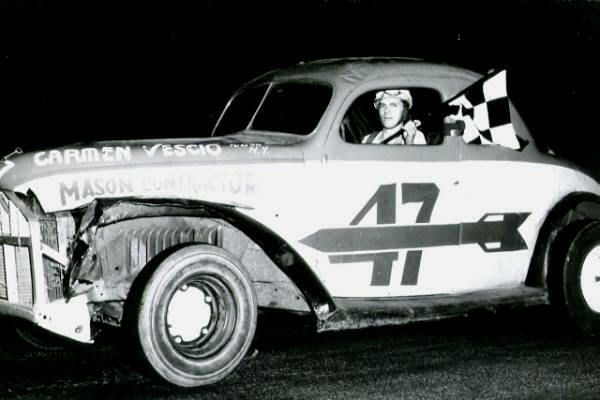 Leo Nadeau was from either Massachusetts or New York. 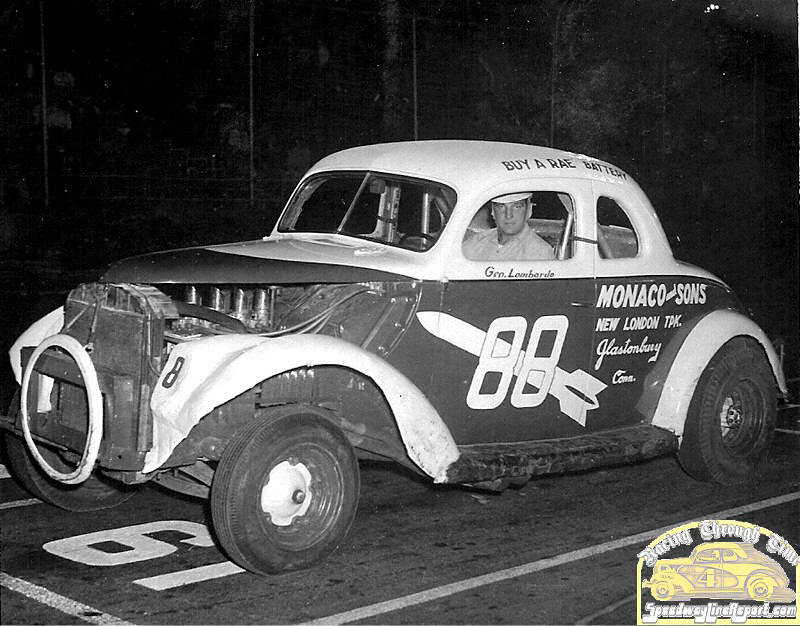 He ran a wide variety of tracks such as Pine Bowl, Pico, Schuylerville, and Stateline. This is the best shot of man himself that I could find. 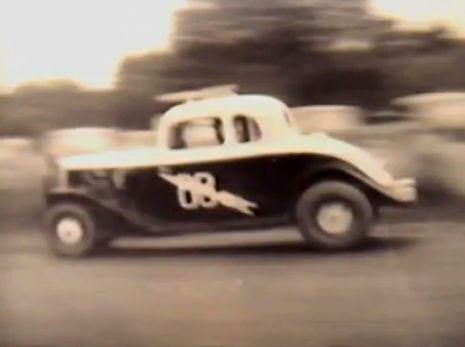 Leo Nadeau, at speed, at the old Fairmont Park Motor Speedway in 1950. 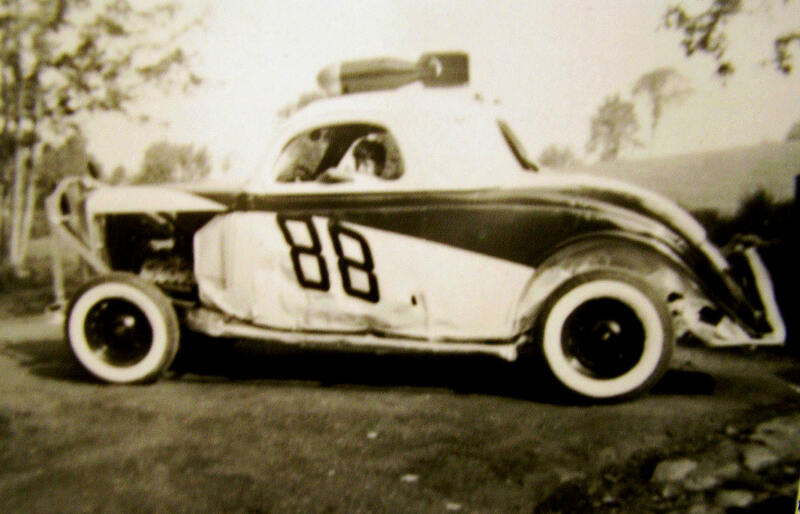 Leo Nadeau at the Hudson River Speedway in Schuylerville, NY. Likely, 1951. 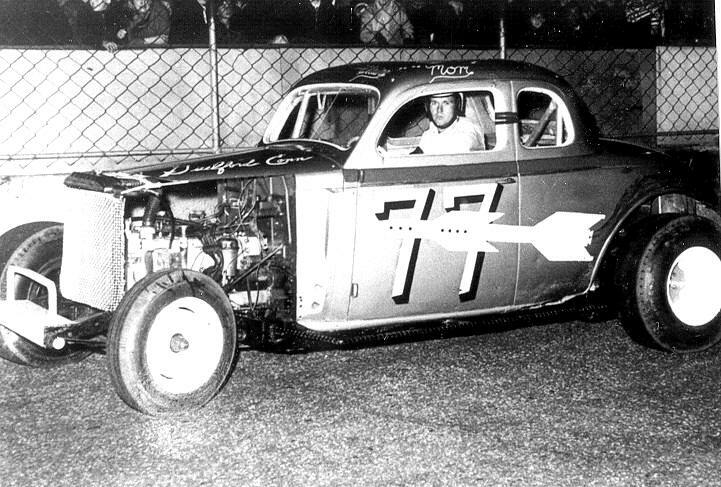 This might be Leo in troouble at the Stateline Speedway in the early 1950's. 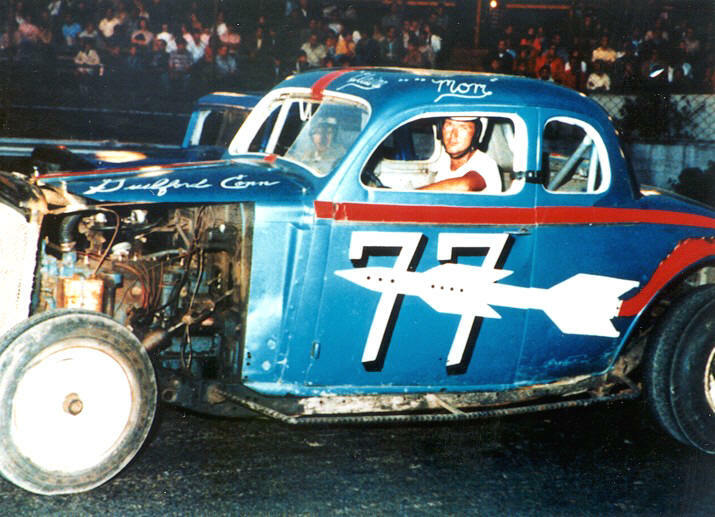 The Rocket 88 is seen, in the front of the infield at far left, at Pico Raceway in 1952.
satellite launched in 1957. I'm not sure what the goat has to do with it. 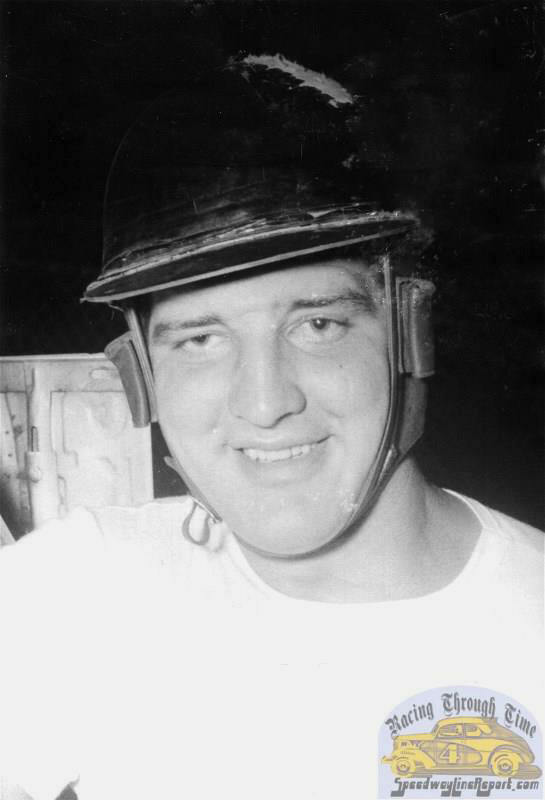 George Lombardo drove for dozens of teams in his career at southern New England tracks. This happened to fill our bill. George Lombardo portrait, early Cromwell helmet and all. function of rhyming his name than with anything else. 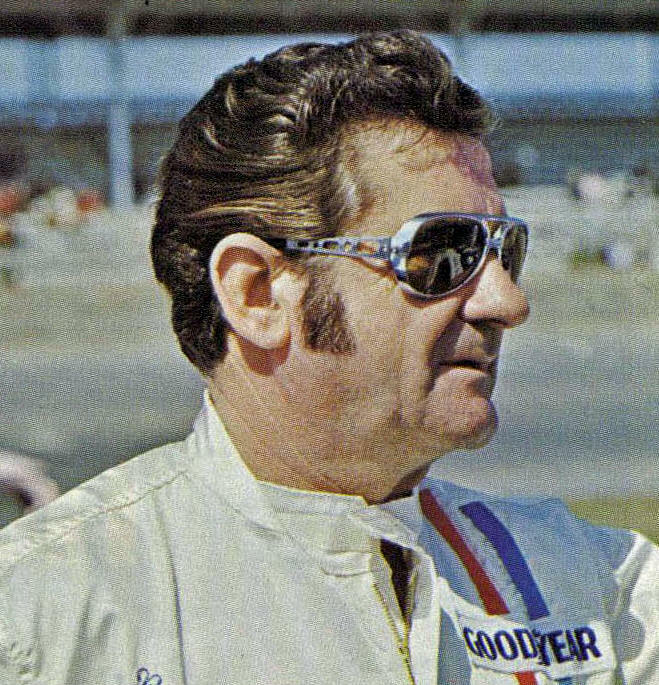 was active in other speed activities besides stock car racing - most notably supermodifieds. I would gather this was not an unfamiliar sight in those days. 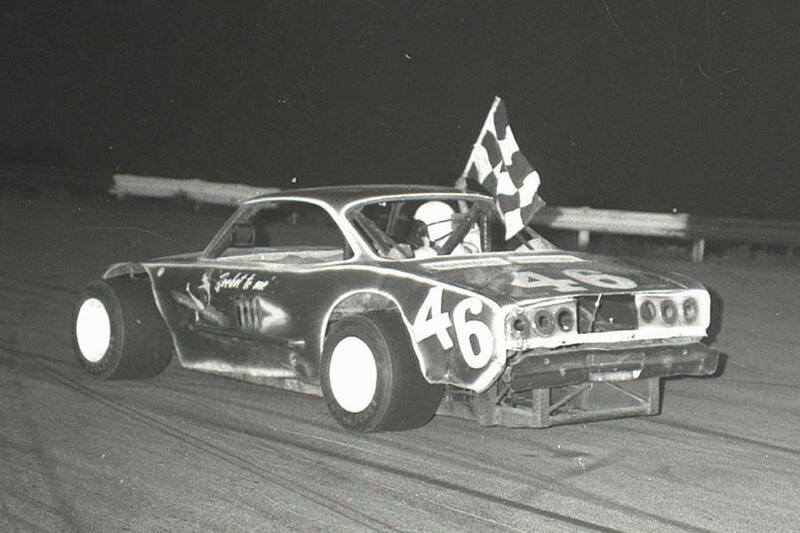 The car was probably almost a supermod inside a Corvair body. Look where he sits. 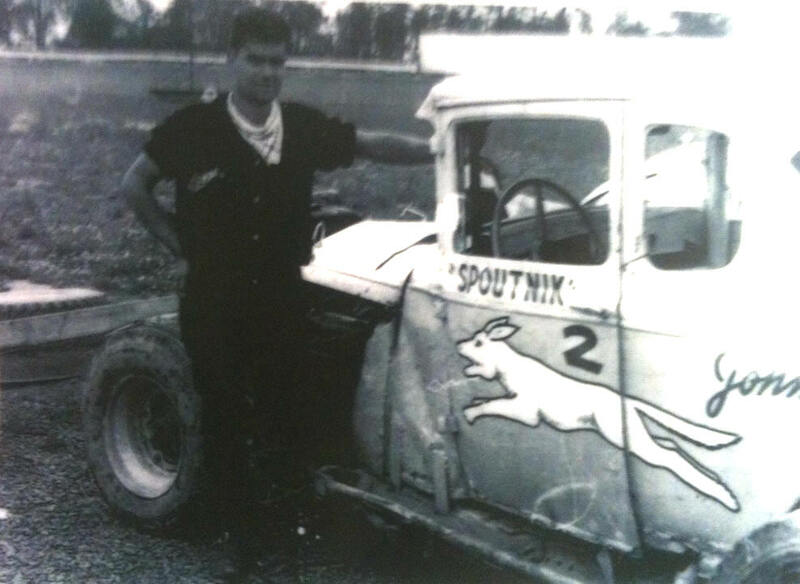 Marv Inman drove this sedan at Manahawkin Speedway. His life was around the Atlantic shore as a bayman in New Jersey. I have yet to figure out why so many early '50's teams used this exact number, but the rocket reference is unmistakable. 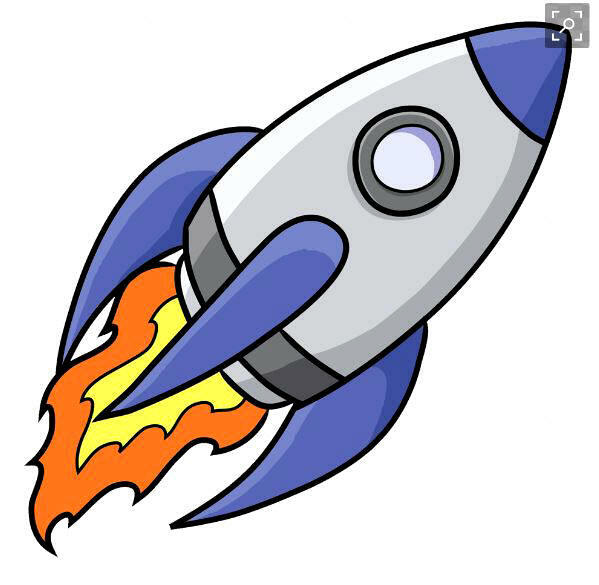 Frank Ellinger is clearly another rocket man. I know absolutely nothing else about him. 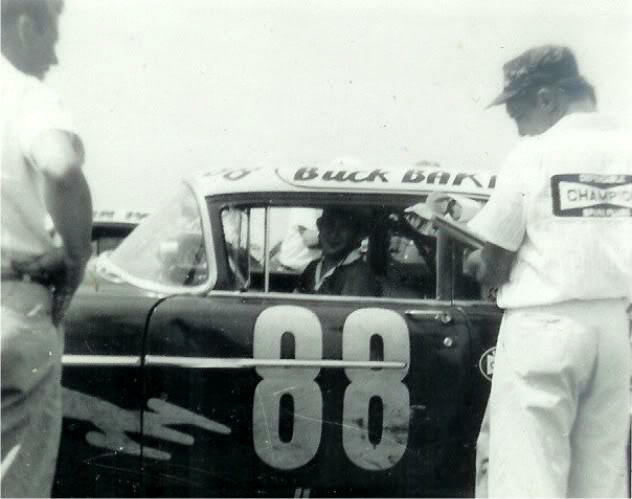 Even the famed Elzie Wylie "Buck" Baker got in on the act - in 1954.